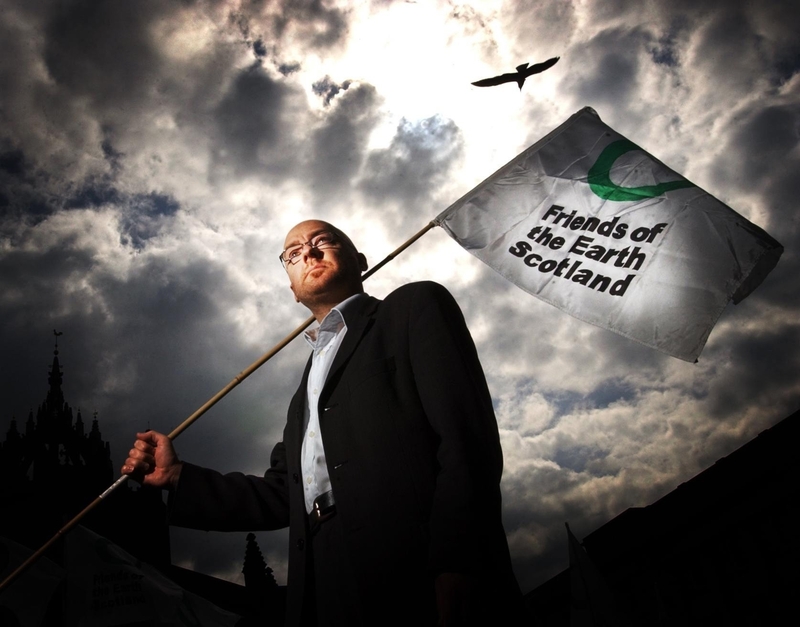 Scottish Greens leader Patrick Harvie has ridiculed US President Donald Trump’s 2012 claim that erecting wind farms will bring about the “almost total destruction of Scotland’s tourism industry”, ahead of a protest in George Square this evening. Mr Harvie said:“Donald Trump told me, and others in the Scottish Parliament in 2012 that ‘wind turbines… will lead to the almost total destruction of Scotland’s tourism industry’. “Here we are six years on and the renewable electricity capacity in Scotland has doubled to over 10,000 megawatts and generated nearly 70% of our country’s demand last year, with onshore wind accounting for three-quarters of installed capacity. “Over the same period, the number of jobs in tourism in Scotland has risen by 25,000, from 175,000 to 200,000 and even Trump himself, six years after his apocalyptic prophecy, is coming to Scotland for a golfing holiday. “This all proves he is the worst kind of clubhouse bore, who just makes it up as he goes along. “In Scotland, particularly those who live close to Balmedie beach, we’ve had first-hand experience of just how despicable Donald Trump can be. We’ve witnessed his bullying and intimidation, and we’ve heard his insults where he shamefully claimed a Balmedie resident ‘lived like a pig’ in ‘a slum’. “Now with the power of the US government, he’s determined to make misery for many Americans too. As subservient Tory politicians get ready to roll out the red carpet for an increasingly fascist President who puts children in cages and brags about sexual assault, we should remember that this man is as delusional as he is dangerous, and cannot be trusted on any subject. US President is visiting Scotland as part of his UK visit which has seen more than 1000 staff hired to protect Mr Trump amid feared widespread protests.